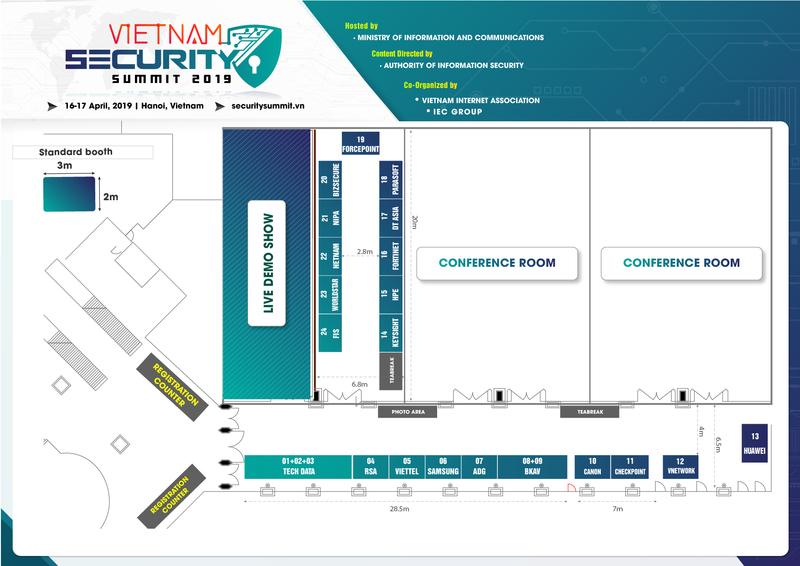 Vietnam Security Summit 2019 will bring in the latest information about Vietnam cyber security outlook in recent time, emerging trend prediction and holistic defense strategies, against more complex attacks. An exclusive platform to showcase and demo the latest security solutions and innovations. This is also one-of-a-kind chance to gain exposure and establish strong relationships with existing and potential customers. A well thought out forum bringing together public agencies, enterprises, the world’s leading providers and security experts to discuss, share, network and cooperate in the field of information and network security. Event brochure will help give an insightful overview of Vietnam Security conference and expo. Please kindly download our event brochure to know in detail about event agenda and featured activities. Digital transformation is getting increasingly widespread, with most of the organizations across region either starting or already implementing. To keep up with this journey, a range of disruptive technologies such as the Internet of Things, Cloud Computing, AI, Big Data, Machine Learning, Automation, smart Devices have been employed, thereby leveraging operation efficiency and enhancing customer experience. However, these technologies are introducing a new range of IT security challenges, which are becoming far more complex and persistent than ever before. As one of the top countries with high level of cyber attacks in the world, there is a growing challenge facing public agencies and enterprises in Vietnam to keep cybersecurity safe, especially in the context of digital transformation. Global cybersecurity leader Forcepoint has announced the Forcepoint Converged Security Platform which accelerates enterprise and government agencies’ digital transformation journey by enabling secure migration of data, applications, and business operations to the cloud. IBM, a global leader in technology services spanning hardware, software and cybersecurity, has deployed its considerable cybersecurity SWAT team, X-Force Red, to the growing enterprise blockchain arena. A year ago, Alphabet’s moonshot factory launched Chronicle to create cybersecurity products. At the time, cybersecurity seemed mundane relative to the ambitions of other moonshots. Cybersecurity has become a major priority for organizations looking to protect themselves against the massive cost of data breaches — but there’s an international problem hindering that goal. IBM has launched an operational version of its in-house security testing tool for blockchainsolutions, the company confirmed in a press release on March 5. On Facebook, two-factor authentication with phone numbers has a two-factored problem. First: The phone number you give to Facebook to help keep your account safe from potential hackers isn’t just being used for security. Today’s risk, security and compliance solutions are fragmented, requiring different approaches or even totally different deployments for on-premise, the cloud, containers, and enterprise-critical applications such as databases.